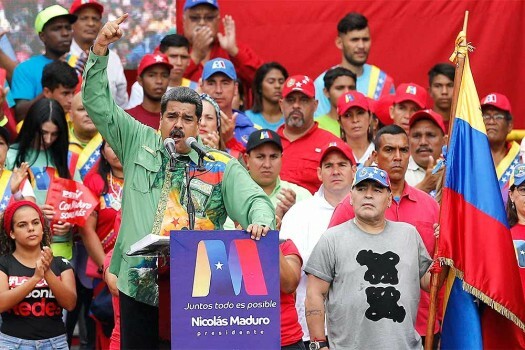 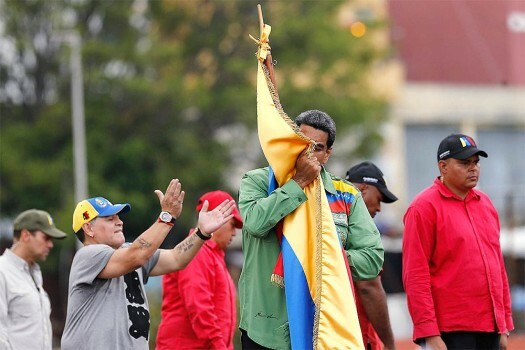 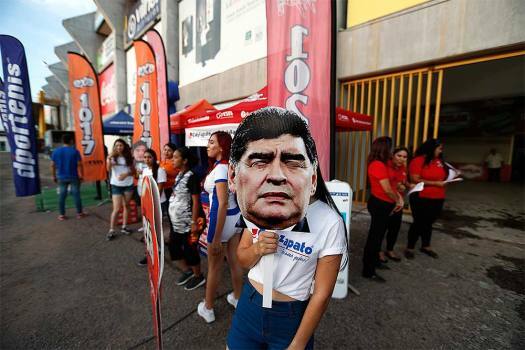 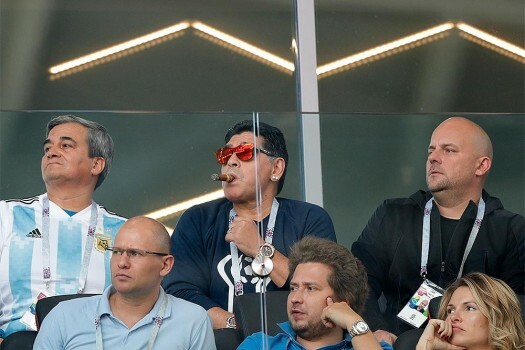 Former soccer star Diego Maradona, center, watches the group D match between Argentina and Iceland at the 2018 soccer World Cup in the Spartak Stadium in Moscow, Russia. 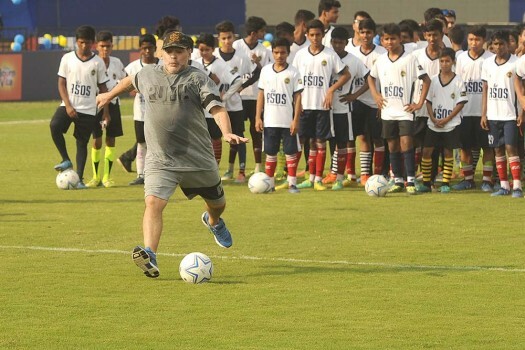 Diego Maradona during a football coaching session at a school in Kolkata. 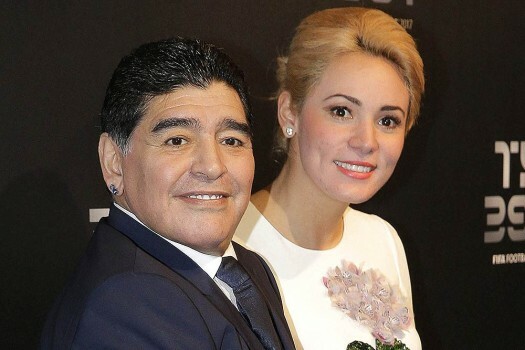 Former footballer of Argentina Diego Maradona with his girlfriend after being felicitated in Kolkata. 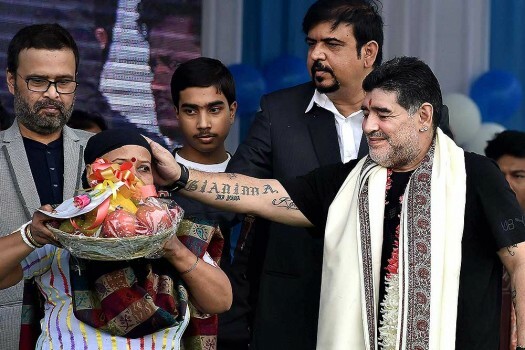 Former footballer of Argentina Diego Maradona interacts with a cancer patient at a programme in Kolkata. 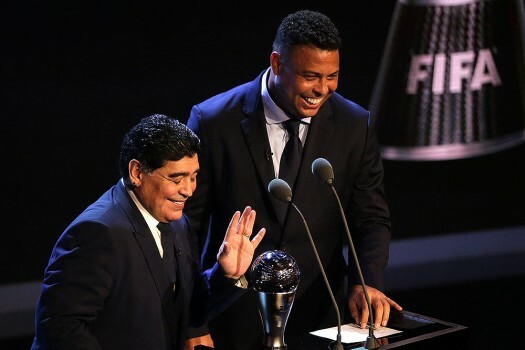 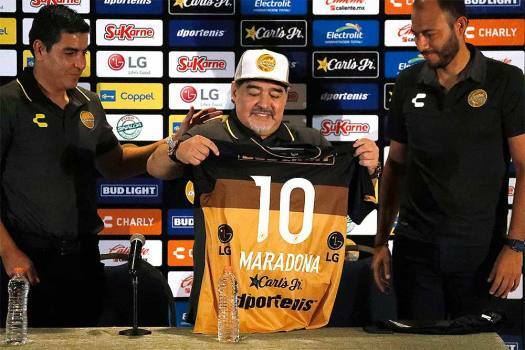 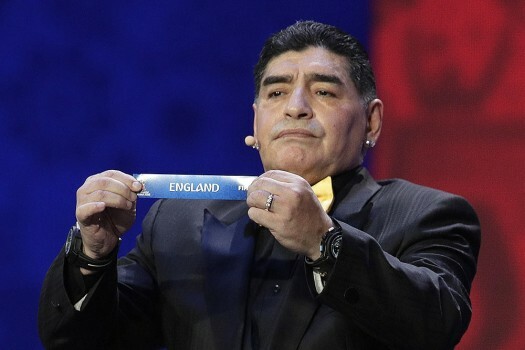 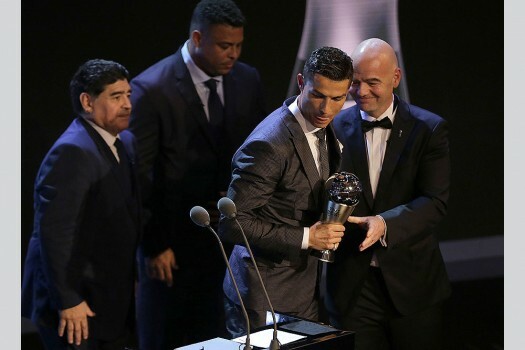 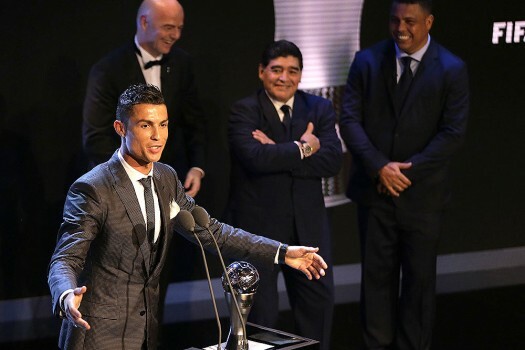 Argentine soccer legend Diego Maradona holds up the team name of England during the 2018 soccer World Cup draw in the Kremlin in Moscow. 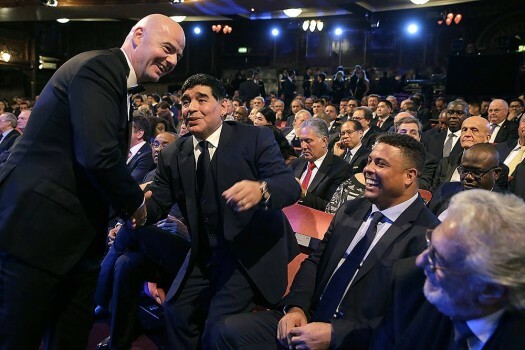 Argentina soccer legend Diego Armando Maradona and partner Rocio Olivia arrive for the The Best FIFA 2017 Awards at the Palladium Theatre in London. 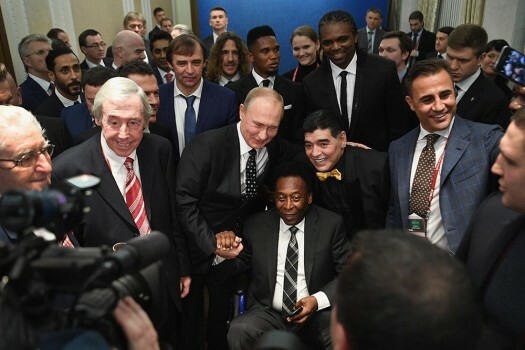 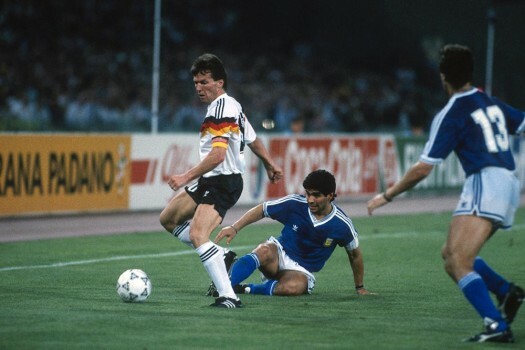 Comparisons to the "Hand of God" goal Argentina great Diego Maradona scored against England in 1986 came naturally to Russians enraptured by the unlikely performance of their team.